Haven't heard of Skip vonKuske? Chances are you've heard him - whether on his own recordings, or those of his primary live touring projects Vagabond Opera and Portland Cello Project. From Pink Martini to M. Ward, Skip has played cello on hundreds of recordings over two decades in Portland. He has performed around the nation and the world, while maintaining an active schedule in the local music scene in all types of genres. Skip vonKuske has been playing the cello for nearly 30 years. After leaving college in 1989, he played bass and guitar in pop bands but more recently has found himself integrating his classical training with improv/pop/ethnic/world music. He is a skilled improviser, with an uncanny ability to slip into others' music. His ability to provide the prefect complement has earned him credits on over 100 local albums. vonKuske remarks: "I am as inspired by Vivaldi's "Four Seasons" and the minimalism of Philip Glass as I am by Little Sue or Pink Floyd. My goal has been to EXPAND the perception of the cello. Its tonal palette goes beyond classical / baroque usage; there is a viability to make any type of music with the cello." 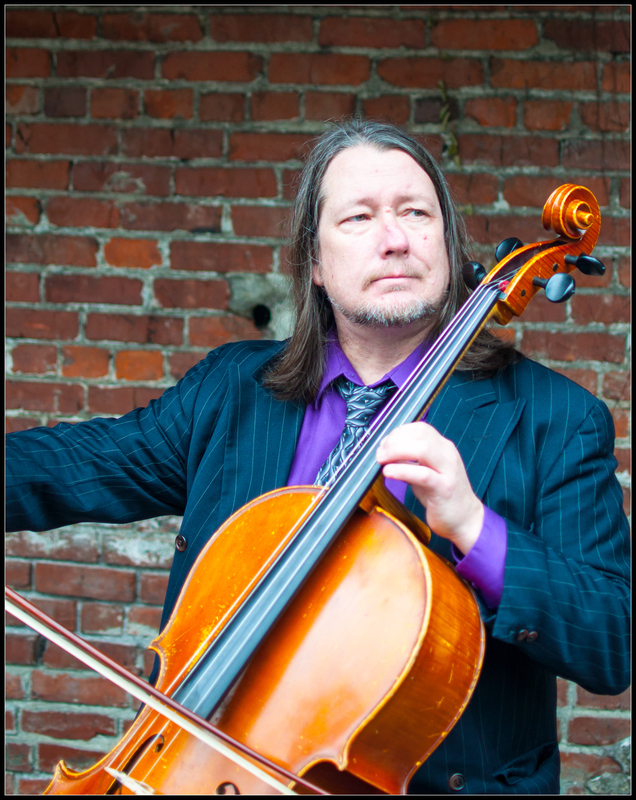 Skip vonKuske is one of the most sought after cellists in the Northwest; he is perhaps best known as a master collaborator for his work with groups such as Vagabond Opera, Portland Cello Project, and Groovy Wallpaper. vonKuske is also many other things: a composer, an innovator, an improviser, and producer. The Oregonian has described him as "a one-man chamber ensemble," and this is apparent in his solo work, in which he uses looping technology and sound-manipulation tools to push the cello into uncharted terrain, and yet does so without sacrificing the sentiment which is heard in his powerful, concise phrasing. Skip began playing cello at the age of eight, and has studied with renowned cellists William Stokking of the Philadelphia Orchestra and Lorne Munro of the New York Philharmonic. He attended the Performing Arts School of Philadelphia and also studied at Michigan State University. While at MSU, Skip performed with numerous regional orchestras and in several original music projects, in which he also played bass, guitar and mandolin. When Skip moved to Portland, Oregon in 1994, his skills as an improviser and singer/songwriter set him apart from many other classically trained musicians. In his first three years in Portland he recorded on projects with well over fifty artists. And over the last decade, Skip's cello has provided vital, though often subtle texture, to hundreds of recordings including M. Ward's "Post War" and Pink Martini's "Sympathique". Since the early 2000s, Skip has been a regular performer throughout the McMenamin's Kingdom, playing on nearly all their stages; plus sharing the Crystal Ballroom stage with national acts like Pink Martini, Devotchka, Beats Antique, Buckethead, Trampled by Turtles, and more. In 2015, he reached a rare milestone - holding his on-going Monday night residency at Edgefield Winery for ten years.